This is a double scene. The larger part represents the dance of Salome before Herod, and the accompanying man playing on a musical instrument, while on the right the head of St John is handed over to her. 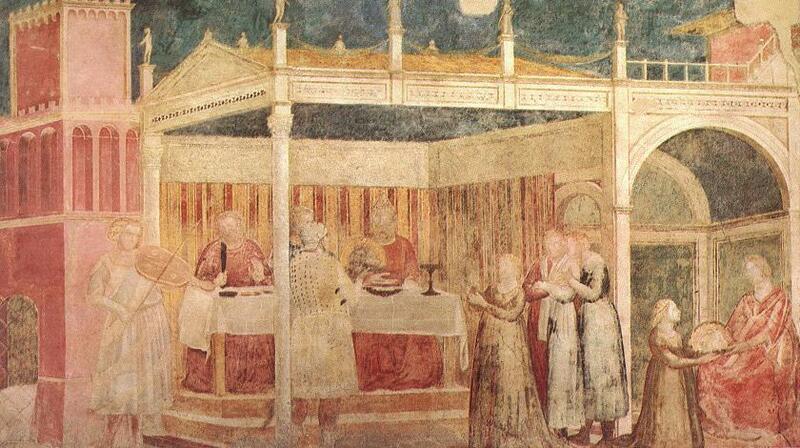 The fresco is strongly faded, however, the whole composition can be seen.